Our goal is to build the best integrated AI systems, ultimately resulting in devices that you can work with in the real world. The team behind ABR has been building models of the brain for the past decade. Now it's time to apply what we've learned. We use and are inspired by open source software, open access in science, and the open data movement. 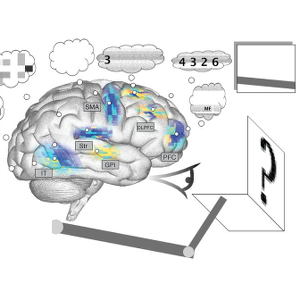 Nengo is a suite of software tools that we develop and use to build large scale brain models. Nengo is our secret sauce, developed in the open and freely available to academic researchers and hobbyists. Grab the first and only commercially available reprogrammable neuromorphic hardware. We have developed a patented adaptive control method that guarantees improvement over standard PID control. Not only does this algorithm introduce robust self-tuning, it can be run efficiently on standard hardware, or next generation neuromorphic hardware. 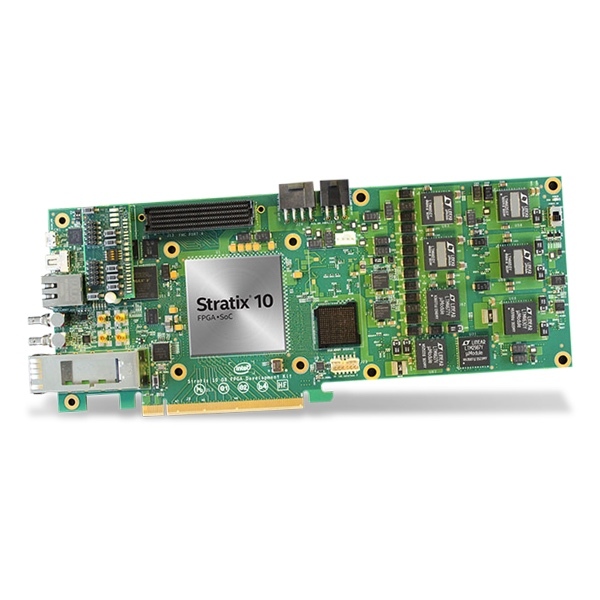 Target the latest, efficient, neuromorphic hardware with a specific application. We'll help you port it or build it from the ground up. 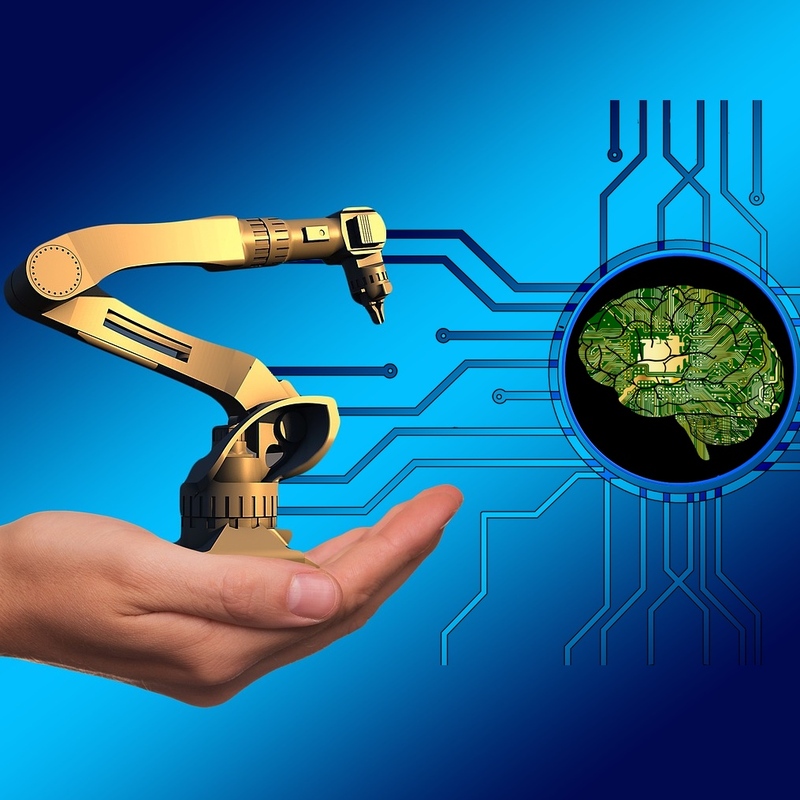 Are you developing an AI accelerator that you want to be easy to program? 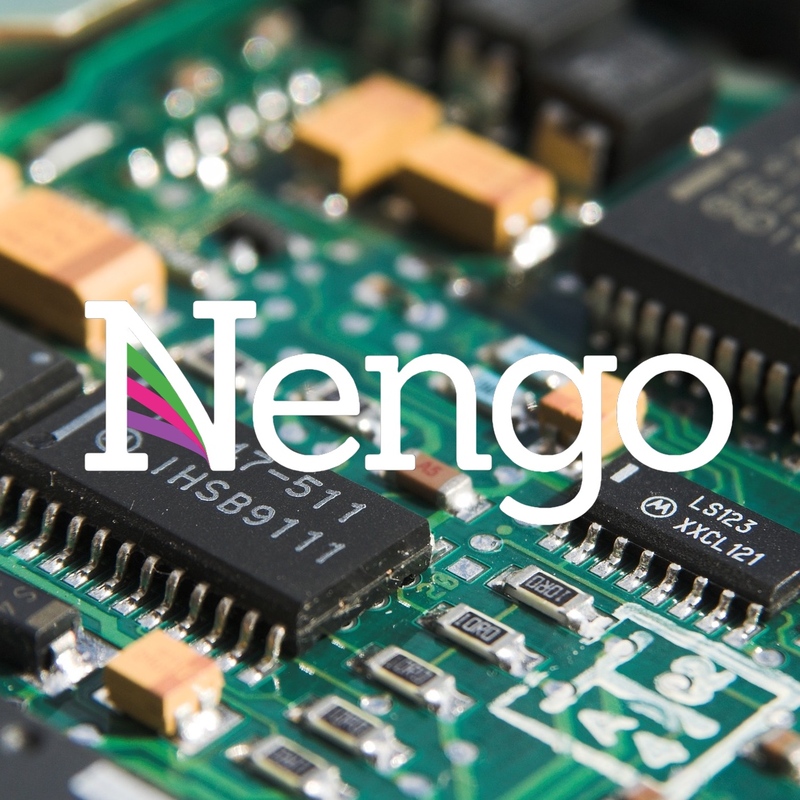 We've built a wide variety of backends for Nengo that instantly bring a whole software stack to novel hardware. Need a specialized software tool for your in-house development? Talk to us and we can build tools to meet your machine learning and AI needs. 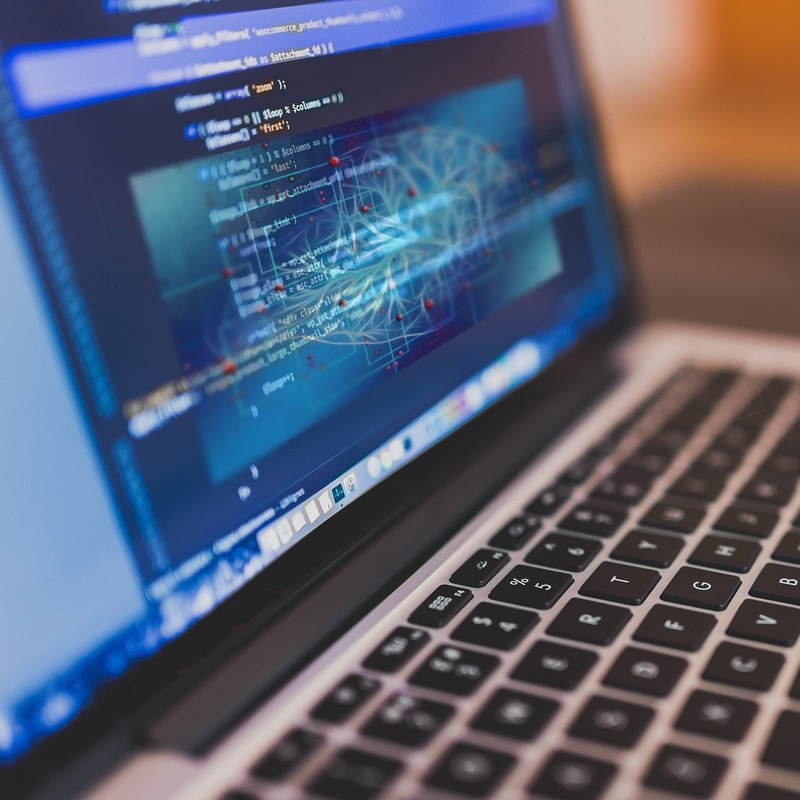 We have deep expertise in software development and artificial intelligence methods. 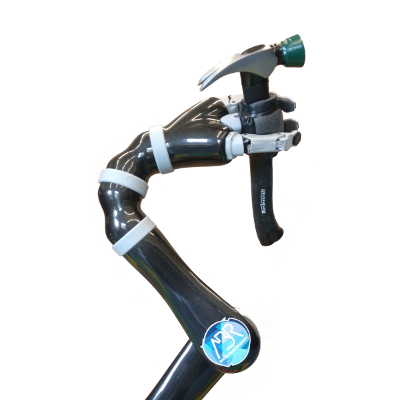 We have implemented nonlinear adaptive control with a learning spiking neural network to control a 6-DOF Kinova Jaco2 robotic arm. Provably more effective than PID control, and running on neuromorphic hardware, we have demonstrated increased accuracy, speed, and orders of magnitude lower-power than using conventional hardware. 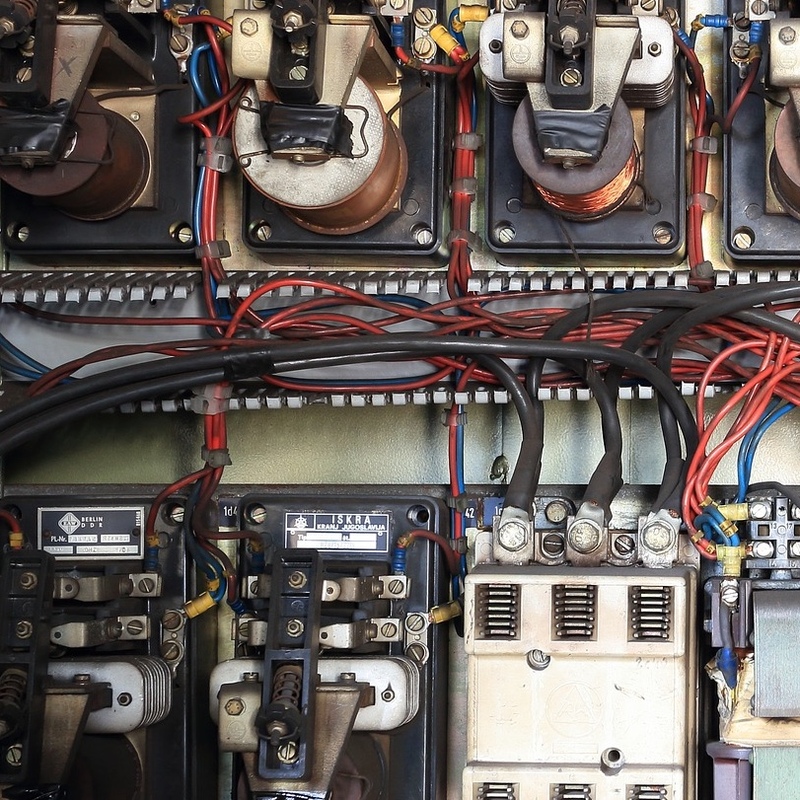 This opens the door to efficient, adaptive, embedded robotic systems. 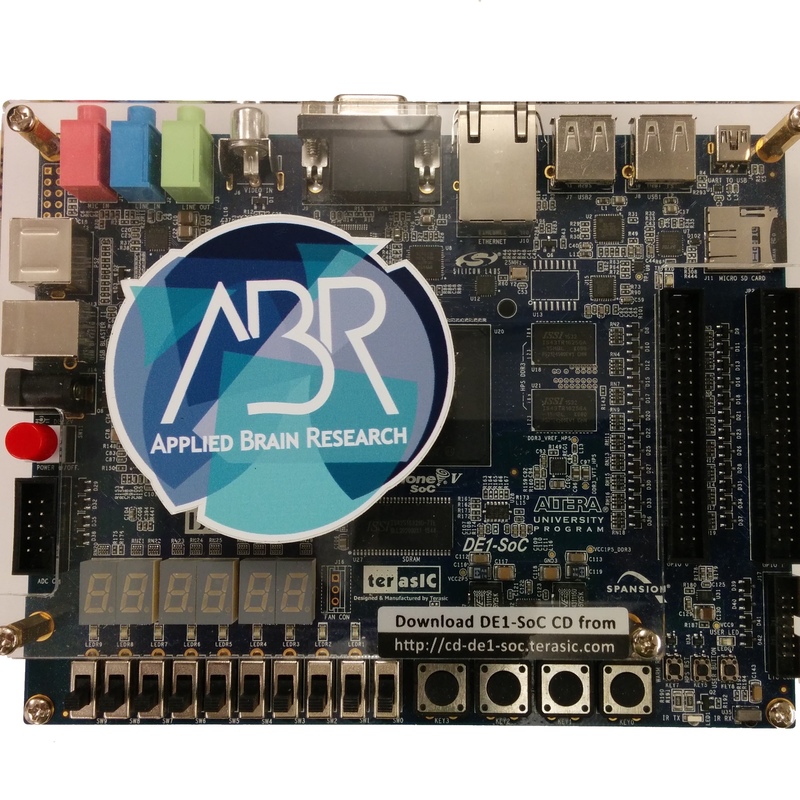 Building off the successful foundations and testing done with our commerically available ABRain Board, we are scaling up to a multi-FPGA neuromorphic system able to run millions of neurons in real time. Spaun is the the world's largest functional brain model. It can respond intelligently to questions, remember digits, gamble—all with only 2.5 million neurons.